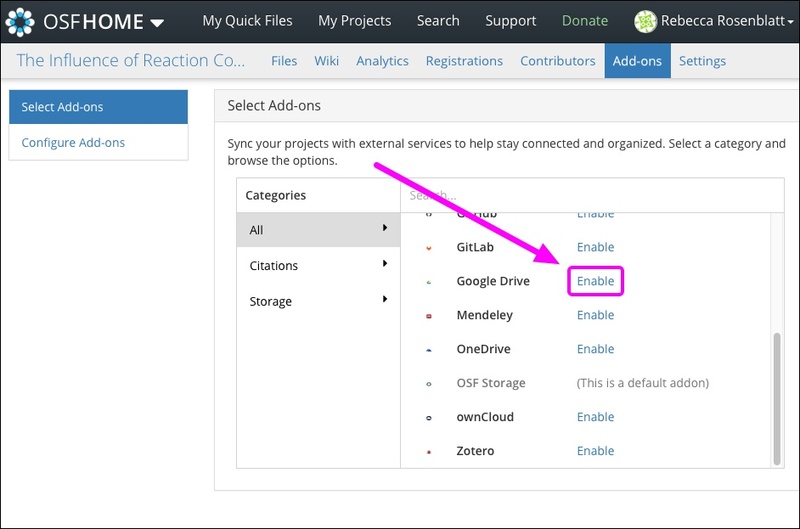 You can connect one Google Drive folder or an entire Google Drive account to your OSF project or component. Different Google Drive folders can be linked to different components within the same project. Google Docs, Sheets, and Slides will render in your browser via OSF, but cannot be edited directly on OSF. 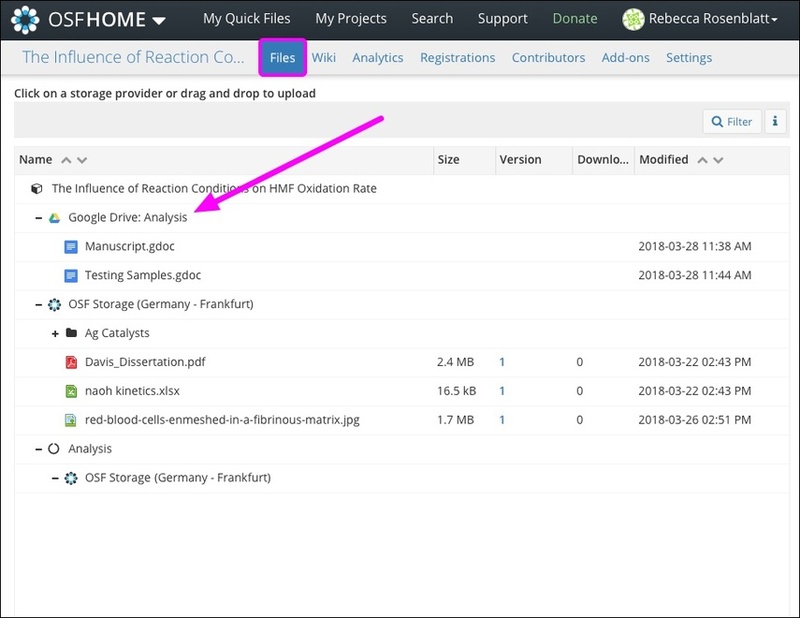 A link about the rendered Doc, Sheet, or Slides will take you to the add-on directly, where you can edit the materials if you have the appropriate permissions. You can add files to your Google Drive folder and those files will be accessible via the OSF. Likewise, files added to your Google Drive folder in your OSF account will update your Google Drive account with that file. 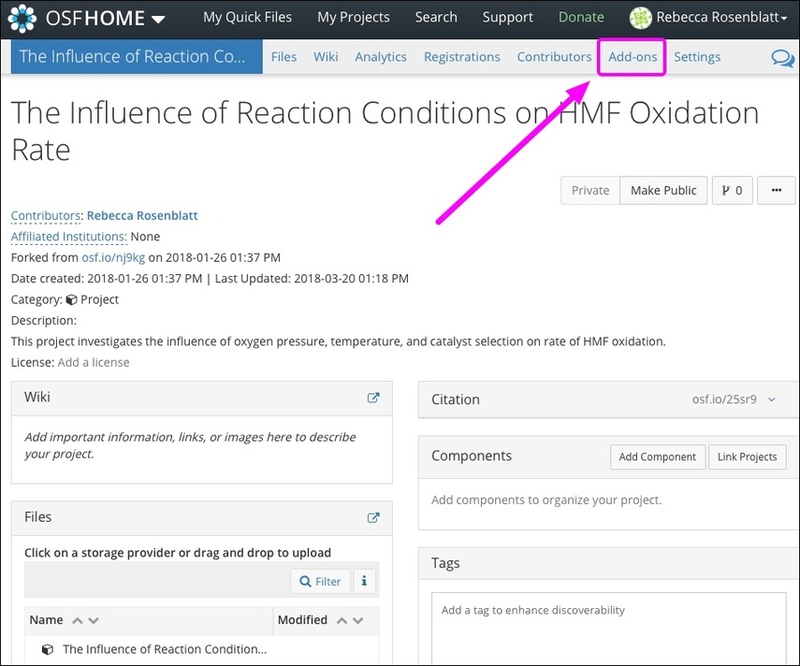 The Google Drive add-on allows you to connect external content to OSF. This connection does not store or back up this content on OSF. 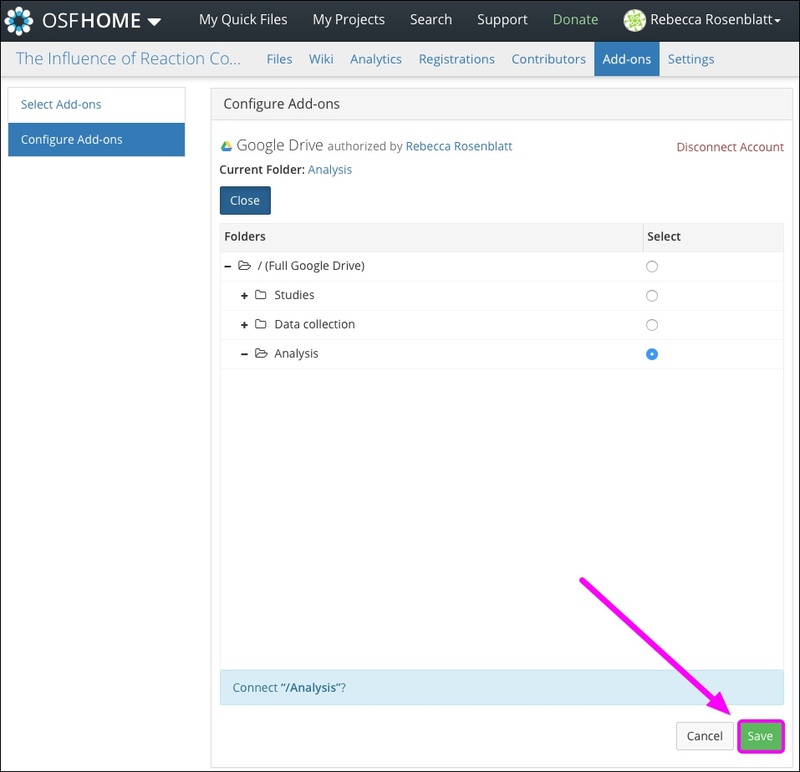 To back up your content to OSF Storage, consider registering your project. In the list of add-ons, click the Enable link next to Google Drive. The Google Drive terms will appear. Find Google Drive in the "Configure Add-ons" section, then click the Connect Account link. 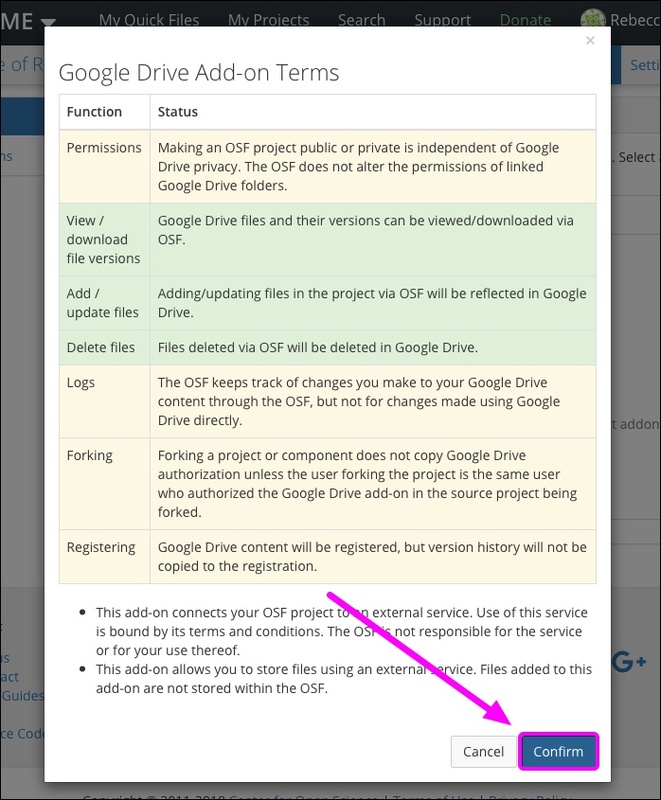 Log in to Google Drive, then allow OSF access to your Google Drive account. Your Google Drive folders will be imported into your project. 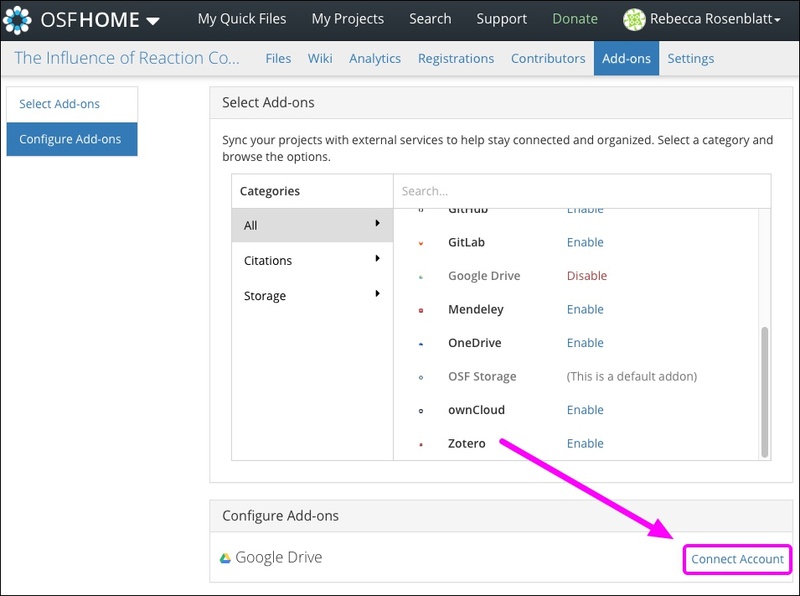 Google Drive will be connected to your project.